Email marketing is a powerful tool that not only informs, but can find out what’s working and what’s not in your business. In this episode, learn about the benefits of using tags and email sequences, with more tips on how to use email to increase your conversions. 02:31 – What are email sequences? 06:35 – Liked this podcast? James Schramko here, welcome to SuperFastBusiness.com. This podcast is about getting the most out of your email marketing. 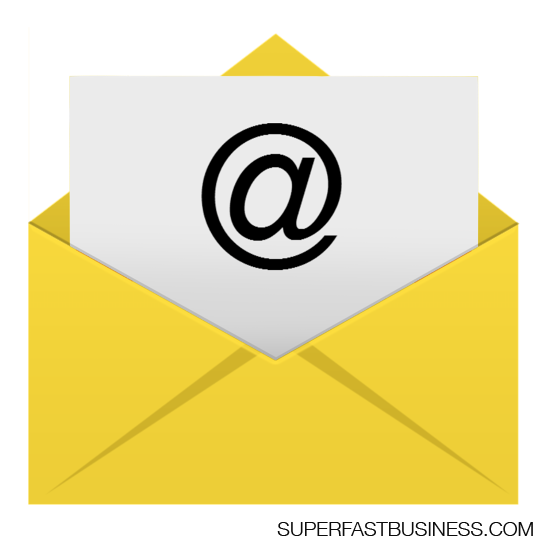 Email marketing is indispensable to an online business. Your email list is where leads and customers come from. And it’s one of your most powerful marketing tools. With a good email list and email automation software such as Ontraport, you can create segments and send messages that boost sales, nurture valuable relationships, and overall benefit both your customers, and your business.Something you really want to pay attention to is relevance and timing. You want to send the right message to the right person at the right time. And it’s very easy to do that with a system that gives you the ability to segment. Are you doing all you can with email? Tags are an invaluable tool for making sure your messages are relevant. For example, if you have a podcast and someone comes in from that, you can tag them as being from the podcast. And when you have a new episode, you can email everyone under that tag and not your entire list. Some other useful tags to have would be a Checkout tag. When someone visits a checkout page as well as tracking sales, this can let you track and respond to cases of cart abandonment. A Source tag; the marketing channel where someone opted in, i.e., Facebook or email. This tells you where your opt-ins are coming from and can help you adjust your marketing accordingly. A Free tag; this is for opt-ins who aren’t yet purchasing anything. A Product tag; list your line item with product tag and when someone buys it, you know what they bought and you can group people according to product type. You can also add up these tags and create a value that helps you identify which ones are your VIP customers or the higher spend customers. A Topic tag; if someone opted in on a particular podcast episode, you could actually tag the topic of that episode. For example, this one would be a topic tag of “email marketing” and now would have a group of people who are interested in that specific topic. Your email sequences are the emails that your autoresponder software will send in response to user behavior. These can serve to redirect or encourage a certain action, provide or gather information. So here’s some of the email sequences that you might use. There’s a Welcome-type Onboarding sequence. When someone buys something, it directs them to their product purchase, and it explains to them how to get the most value from it. This may be followed up later, a checkup to make sure that everything is running smoothly. You might have an Abandonment sequence. If someone visits your checkout page but doesn’t buy, this sequence follows up. It simply checks if they need help, or they want to go back to the page that they were at last time. Sometimes people actually forget to buy or they have an urgent question that they’d like addressed before they make a purchase, or maybe they just leave the house or their browser gets closed and they meant to buy but just didn’t. This should typically boost sales by 20% to 30%. You might have an Affiliate Promotion sequence. When people have registered interest in a particular topic and they click on a certain link, they’ll start receiving information about the topic and its advantages, and often it will combine an incentive such as a bonus. For example, I might put a link saying, “This email was sent using Ontraport.” And if people click on that, they might get a sequence explaining why I chose Ontraport, why I switched from a different service provider like Aweber. It might then offer a bonus on how to get the best from the software if they purchase it through my link. You might have an Event-specific Countdown sequence, which would automatically send emails just before ticket price increase, such as an early bird rate to normal pricing change. It will also identify who hasn’t purchased a ticket. If someone buys a ticket, it removes them from the sequence. You can have a cross selling sequence. When someone buys something, it then checks to see if they have a related product or not. And if they don’t, it can then recommend it. Classic case of how I’m using that is when someone purchases a ticket to my live event, the system will go and check automatically to see if they are a member of SuperFastBusiness community. And if not, it will make a recommendation that they join, giving a video that I made explaining why someone should join the community. You may have an Unsubscribe sequence. And if you are running a subscription-based business, this one is fantastic. When someone unsubscribes from your product or service, it immediately follows up to find out why. This not only gives you a chance to save the customer, but also gives you valuable feedback that you can use to improve your product and marketing, and potentially keep others from unsubscribing. You could have a General Survey sequence. This one probes to find out why people bought, and what results they got. It’s great for generating testimonials or case studies. Here’s a few more tips for your email marketing. Make sure your messages deliver value and the recipients will genuinely benefit from reading them. I call this the golden rule. A cart abandonment sequence is usually going to add 20% to 30% to your sales by following up people who would have otherwise just left your site. Maybe they wanted to buy but they didn’t. Be very careful if you’re using retargeting. This is where you put a cookie on your site and it follows people around. Make sure you tailor your message to just the right person, and make sure they’ll be better off for your offer. For example, if they did go to a live event page, an early bird discount might be a good thing to show. A post purchase follow up is an opportunity to improve the customer experience as well as to find out what is and isn’t working in your business. If you’re getting mostly positive responses, save them somewhere. And that will help you be more confident about what you provide. And if you do get a negative one, it gives you a great chance to fix your customers’ concern before they go looking for a chargeback or a refund. If you really like this podcast, please make a comment at iTunes. It would be really appreciated. You can certainly make comments below. And if you’d like some help from me in your business, I log in to SuperFastBusiness membership every day and answer questions. Head over to superfastbusiness.com/membership, join up and I’ll see you inside. Leave a comment: What tags and email sequences are you using in your business? Epic. I was just talking to Antonio Centeno and he was saying the same things about tags. But question…why Ontraport? I read your review too, but most people use Infusionoft. Would loved to have seen a comparison of the two in your opinion and why you chose Ontraport in the end. I tried Infusionsoft and did not like it. I am sure it has improved since I used it however Ontraport gets the job done for me. Regardless if you use Ontraport, Infusionsoft or Active Campaign you can get good tags and automations working for you. I’ll remember that. I am currently using GetResponse, but ready to step up my game so that i can use those tactics. When the time comes, I’ll come back to that post and recheck it out. Thanks and great points.